Mrs. Turner started business in 1948 aged 22 in partnership with her brother Mr Vinall of Hillcrest Nurseries at Herongate, having a retail shop in Brentwood selling plants. 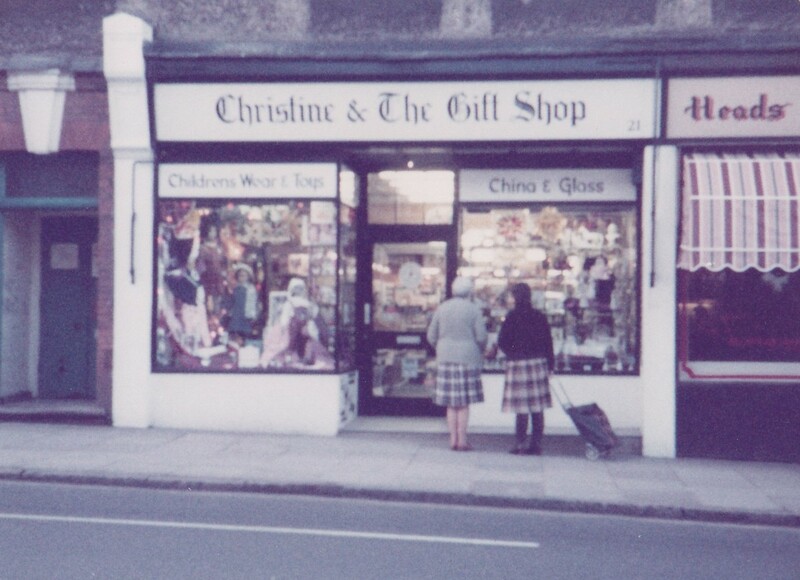 After having a family of a son and daughter she returned to shop life when her daughter Christine was 8 years old. She took over The Shepherdess, a wool shop at Warley, Brentwood, in 1965 which she ran for 4 years. 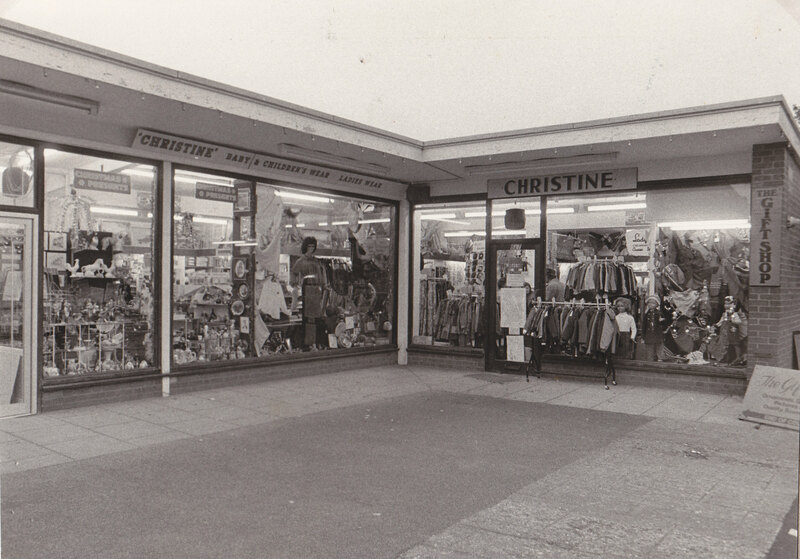 Then in 1968 she bought the childrenswear shop in Holly Court, calling it “Christine” after her daughter. 2 years later she expanded and bought the shop next door, making it into one shop. In 1975 her husband Norman was made redundant and she decided to give up a quarter of her shop for Norman to start a Gift and China section. 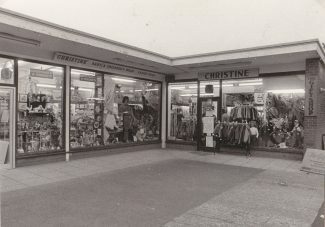 Soon this expanded and in 1976 she took over the shop next door on the other side. Then her husband was offered a job, so Mrs. Turner was left to manage 3 shops all in one with 3 trades to organize. 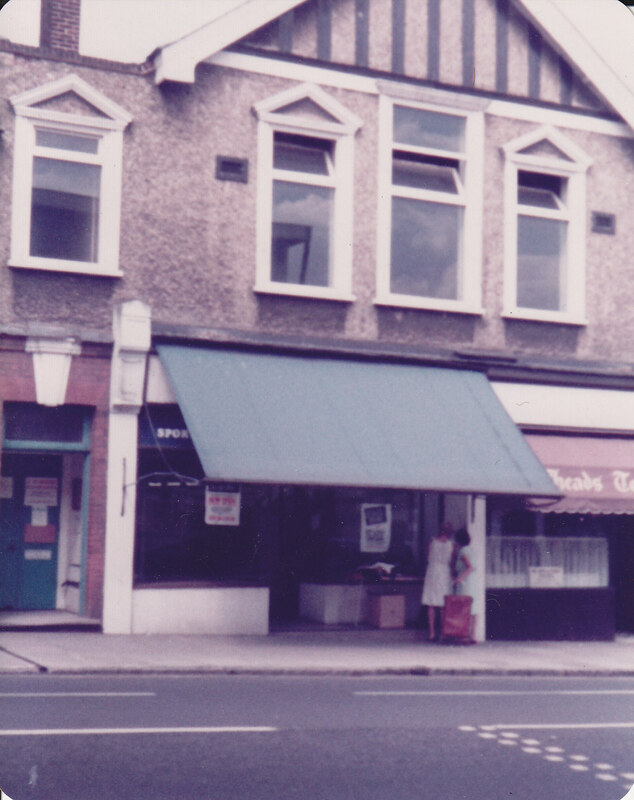 Due to high rents in 1982 she was driven from Holly Court, after 14 years of trading there, and moved into 21 High Street. 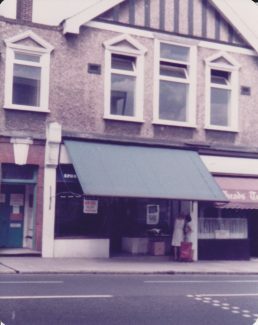 The old “Co-op” shop was turned into a fabulous “small store”, but Mrs. Turner, after 3 years, was beginning to find the running of this complicated business too much, especially with her recent move into a bungalow with a very large garden. The above wording was posted on the window of Christine & The Gift Shop when Mrs. Gene Turner decided to retire and close the shop at 21 high Street.